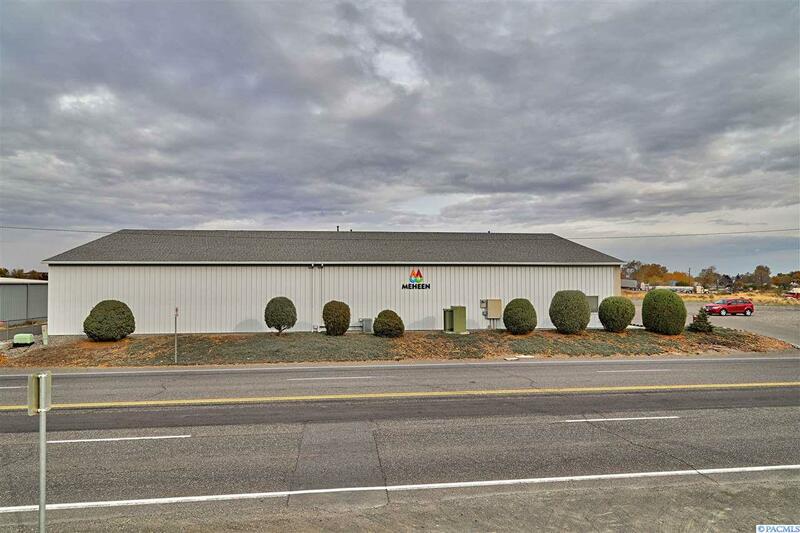 Exceptionally well-built, Insulated Form Construction (ICF) building in the heart of commercial Pasco with two commercial/industrial zoned lots Lots have water, sewer and gas service available. 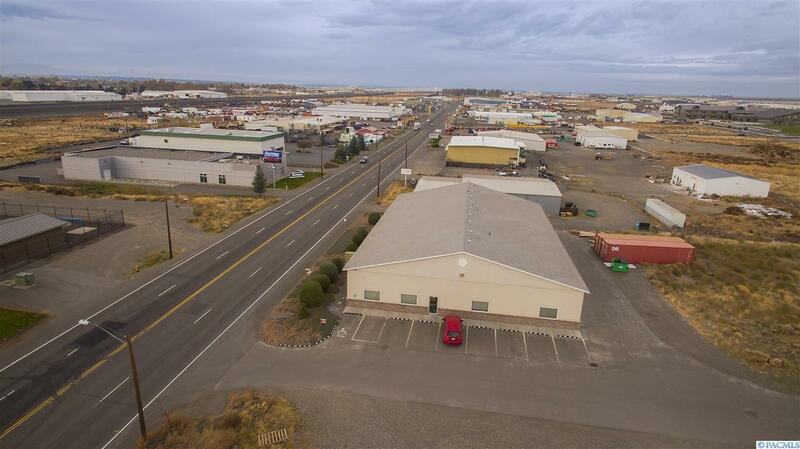 Close to freeway and highway access, you won't find a more convenient location for your business. 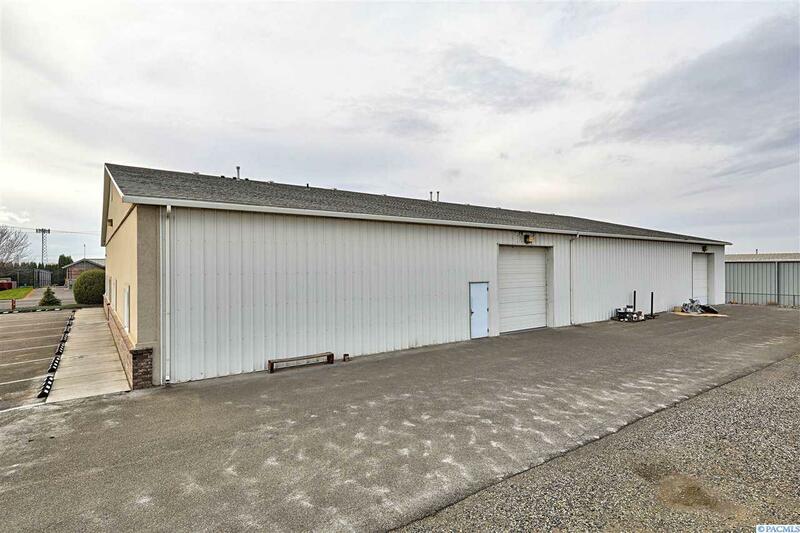 This building has numerous upgrades and quality is evident throughout. This building could work for a variety of businesses. 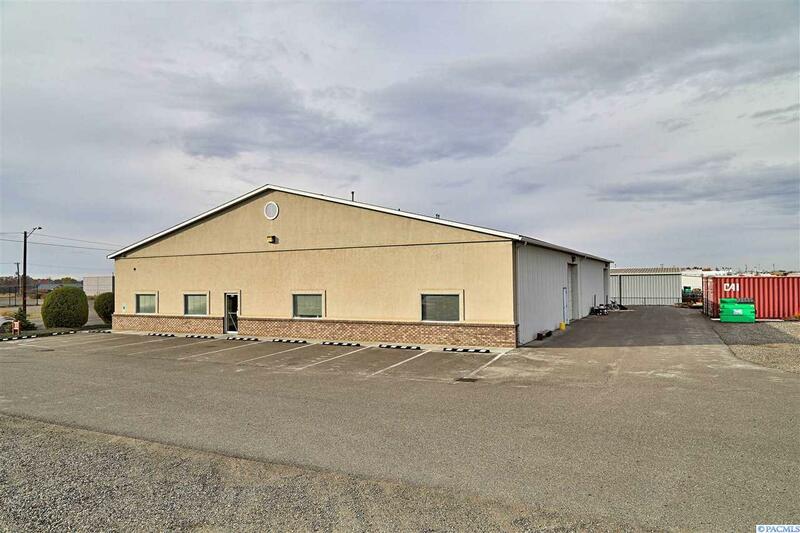 At the moment it is configured with approx 1080 sq ft of office, 1080 sq ft of shop/low warehouse short and approx 8,520 sq ft of high ceiling warehouse/manufacturing floor. There is also a storage loft just off the factory floor. The office has two restrooms that are ADA compliant, a private office/conference room, open desk area/showroom floor and a break-room. There is a 3rd restroom just off the factory/warehouse floor. Ample electric service, 2 truck doors and fire-resistant wall cladding round out the space. Currently is it used as a factory for building bottling machines. The workshop is accessible from the factory/warehouse floor and from the main entrance hall. It currently is used as a shop for repairs and design, but could be additional office space or a show room. The building has 3 heat pumps for cooling and heating in moderately cold temperatures. There is a gas backup furnace for extremely cold temperatures. The current tenant is relocating out of state. Building should be available for occupancy in July 2018. Contact your REALTOR to receive more information about this property.